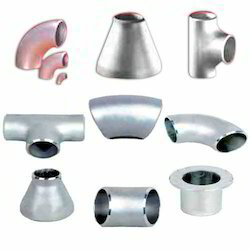 Aesteiron Steels Pvt Ltd is one of the leading manufacturers, suppliers and exporters of Stainless Steel Fittings. 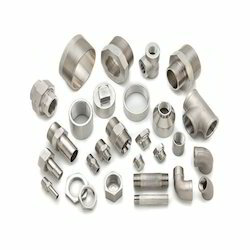 Stainless Steel 316F possesses high creep strength at high temperature & good heat resistance. Stainless Steel 316H has carbon content, heat resistant qualities, greater tensile yield, greater long & short term creep strength. 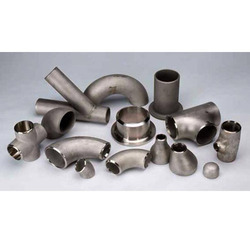 Stainless Steel 309 is an austenitic chromium nickel stainless steel that is often used for high temperature applications. It is highly corrosion resistant, have outstanding resistance to oxidation. 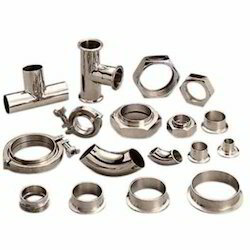 SS 309S is austenitic chromium nickel stainless steel that provide excellent corrosion & heat resistance plus good strength at room & elevated temperature. Stainless Steel 305 has the lowest work & strain hardening rate of all the austenitic stainless steel. It combines good strength & corrosion resistance. 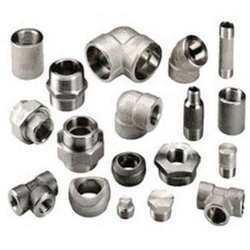 Aesteiron Steels Pvt Ltd, is one of the leading manufacturers & suppliers of Stainless Steel 301 Fittings. 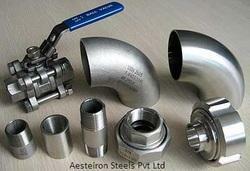 Aesteiron Steels Pvt Ltd, is one of the leading manufacturers & suppliers of Stainless Steel 302 Fittings. 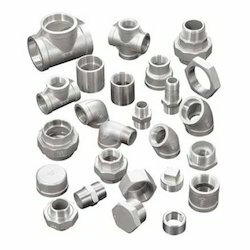 Stainless Steel 310S is used when the application envionment involves moist corrodents in a temperature range lower than that which is normally considered "high temperature" service. The lower carbon content of 310S does reduce its high temperature strength compared to 310. 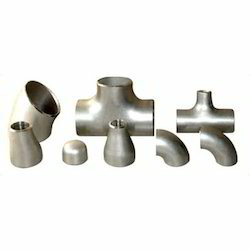 Aesteiron Steels Pvt Ltd, is the leading manufacturers of Stainless Steel 316H Fittings. Stainless Steel 317 is a molybdenum bearing austenitic stainless steel with greatly increased resistance to chemical attack as compared to the conventional chromium nickel austenitic stainless steel. Stainless Steel 321 has similar corrosion resistance to Stainless Steel 304 with the exception of improved intergranular corrosion resistance due to the titanium addition for stabilization. Stainless Steel 329 can be used for heat exchangers, chemical tanks, shafts, oil & gas industries & offshore technology, paper & pulp industry, seawater desalination plants etc. 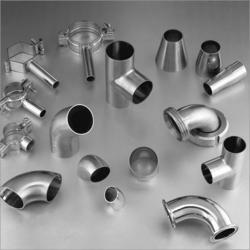 Stainless Steel 347 applications are rocket engine parts, high temperature gasket & expansion joints, aircraft collector rings & exhaust manifolds & chemical production equipments. Stainless Steel 403 is high alloy steel with good corrosion resistence due to the presence of large amounts of chromium in these steels. Stainless Steel 403 is used in turbine parts & compressor blades. Stainless Steel 405 can be easily spun, drawn & formed using common forming procedure. It is commonly used for annealing boxes, steam nozzels, quenching racks, partitions & other fabrications that cannot be annealed after welding. 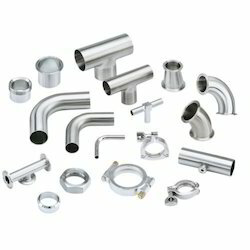 Stainless Steel 410 is combination of good strength, toughness & corrosion resistence. Its typical applications are gas turbine parts, mine equipments, petrochemical equipments, steam turbine parts, pump parts etc. Stainless Steel 416 has the highest machinability. 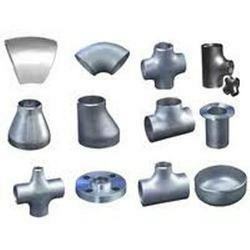 It is used in the unhardened or hardened & highly tempered conditions because of its low & ready machinability. 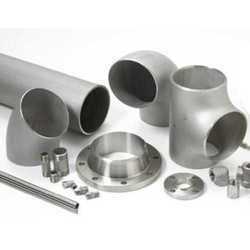 Stainless Steel 420 is used for the variety of applications where good corrosion & outstanding hardness is necessary. Stainless Steel 430 is a non hardenable steel contains straight chromium & belongs to the ferritic group of steels. It provides good corrosion resistance & formability. 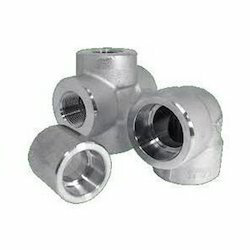 Stainless Steel 430F is used mainly used in the plumbing, building & chemical industries. 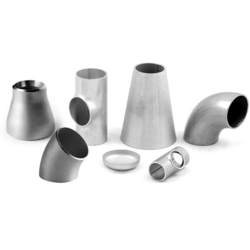 Stainless Steel 431 is a martensitic, heat treatable with excellent corrosion resistance, high toughness & tensile strength. 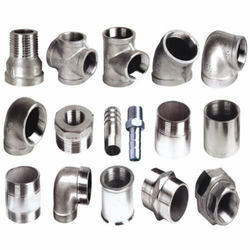 Aesteiron Steels Pvt Ltd, is one of the leading manufacturers & suppliers of Stainless Steel 303 Fittings. 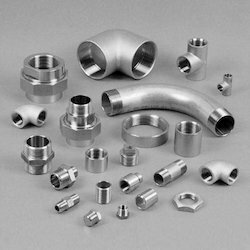 Aesteiron Steels Pvt Ltd, is one of the leading manufacturers & suppliers of Stainless Steel 201 Fittings. Stainless Steel 303Se is a non magnetic austenitic stainless steel which is not hardenable by heat treatment. 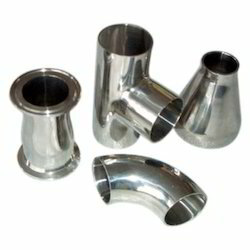 It is free machining stainless steel specially designed to exhibit improved machinability. 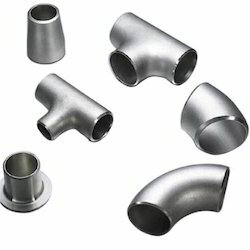 Stainless Steel 304 Fittings provides excellent corrosion resistance, oxidation resistance & machining properties. It has excellent weldability with & without filler metals. 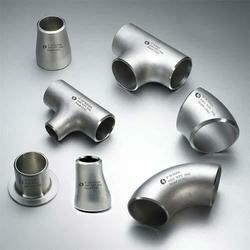 Aesteiron Steels Pvt Ltd, is one of the leading manufacturers of Stainless Steel 304Cu Fittings. Stainless Steel 304H provides higher carbon content that gives the material greater heat resistant qualities, higher tensile yield strength & greater short & long term creep strength. 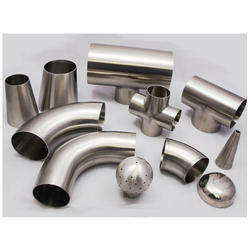 Stainless Steel 304L exhibits excellent corrosion resistance and has high ease of fabrication, outstanding formation. It is considered to be the most weldable of the high alloy steel & can be welded by all fusion resistance welding processess. Stainless Steel 304N has better corrosion resistance than grade 302 & mostly non magnetic in nature, however when cold worked it acquires a slightly magnetic quality. Stainless Steel 310 has excellent high temperature properties with good ductility & weldability. 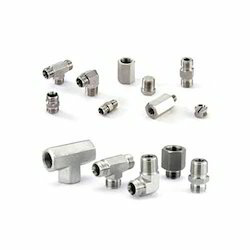 It is mainly used for high temperature service. Stainless Steel 314 has excellent high temperature resistance. Stainless Steel 316 is an austenitic chromium nickel stainless steel containing molybdenum. 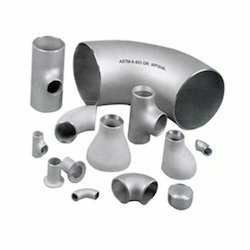 Typical uses include exhaust manifolds, furance parts, heat exchangers, jet engine parts, pharmaceutical & chemical equipments. Stainless Steel 316L is a molybdenum bearing austenitic stainless steels. It provides excellent elevated temperature tensile, creep & stress-rupture strengths & outstanding formability & weldability. Stainless Steel 321H is often used to make radiant superheaters, boiler tubes, high pressure steam pipes & general refinery piping. Stainless Steel 330 is an austenitic heat & corrosion resistant steel which offers a combination of strength & resistance to carburization, oxidation. Stainless Steel 347H is unresponsive to heat treatment. The hardness & strength of the steel can be increased through cold working. It can be welded using most of the resistance & fusion methods. Stainless Steel 429 is a ferritic steel. It possesses good corrosion resistance & weldability. 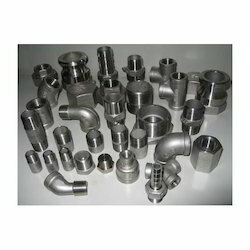 Aesteiron Steels Pvt Ltd, is the manufacturers of Stainless Steel 430Ti Fittings.